Kings Gap State Park has over 16 miles of well-maintained hiking trails that offer a wide variety of hiking experiences. 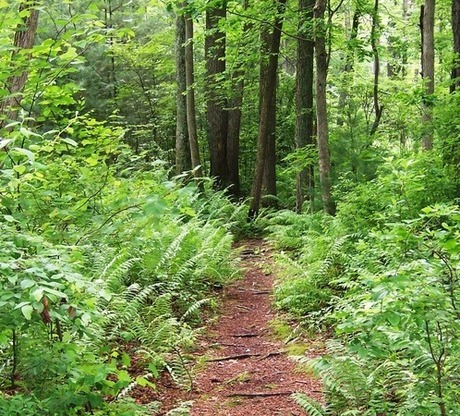 The addition of the 1,077 Ritter Tract in 2011 will add many more miles of trails. The Friends of Kings Gap play an important role in maintaining the trails and funding trail improvements. Click the following links to view and print the latest trail map and trail descriptions. The 1,077-acre Ritter Tract, which was added to the Park in February 2011 was part of the original Cameron estate. The trail beginning at the Irish Gap Road parking area is partially blazed; however most of the trails and old roads that cover this tract are not blazed or marked in any way. In fact, some sections may not be passable because of wet areas and stream crossings. Work is currently underway to rehabilitate existing trails and to construct new trails. Be advised that the area is open to all types of hunting during seasons established by the PA Game Commission so remember to wear blaze orange. Kings Gap is now offering a variety of organized hiking programs suitable for beginners and experienced hikers. Go to the Kings Gap State Park Event Calendar for a listing of hiking programs and other events at the park. There have been increased black bear sightings on the mountain, particularly in the Kings Gap Hollow and Mansion areas. The black bear population in Pennsylvania is continuing to grow. As a result, the likelihood of seeing a bear on South Mountain is increasing. 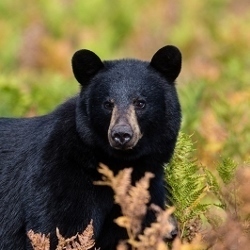 Please read What to do if You Meet a Black Bear for information on how to handle an encounter. For additional information, please contact the park office at (717) 486-5031.